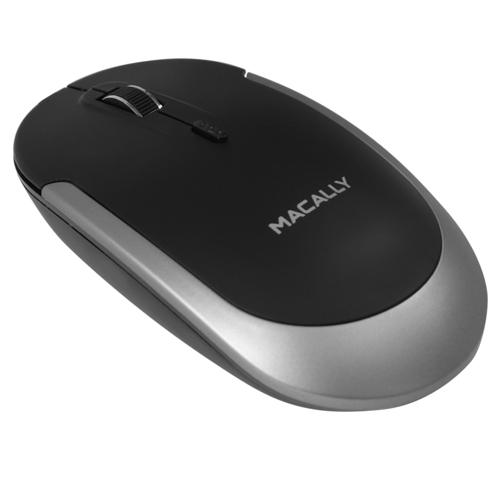 Sensitive, soft, silent, smooth, stylish and slim...all words that define the Macally BTDYNAMOUSE Bluetooth optical silent click mouse for Mac and PC. 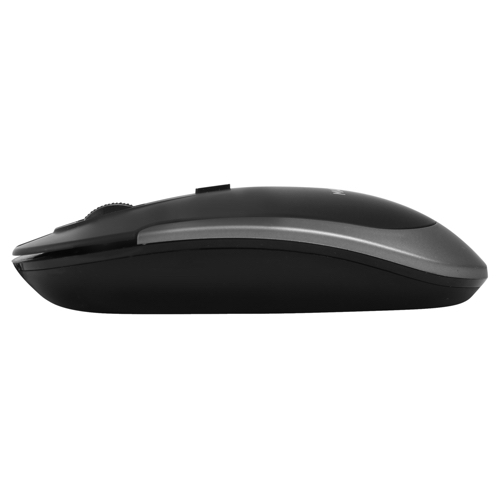 This mouse has a DPI button that allows you to switch between a sensor resolution of 800, 1200 and 1600 DPI so you can set the tracking speed and precision to your preference. 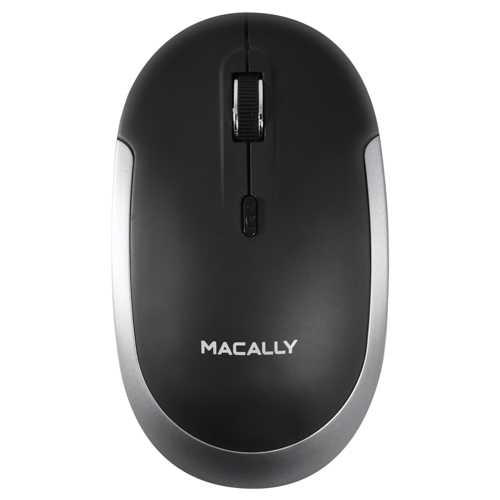 The soft-click buttons are sensitive and extremely silent so you can do your job without distraction. 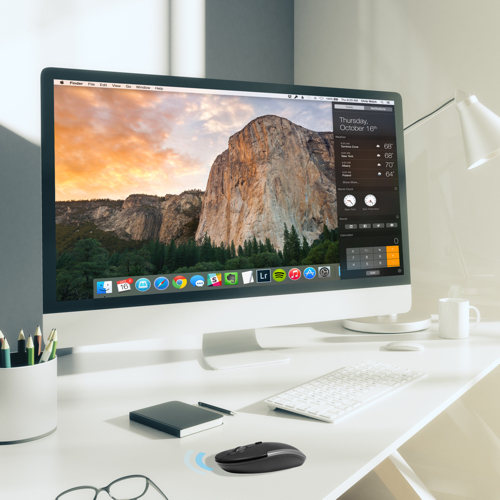 The scrollwheel has a double function as it allows you to scroll smoothly through web pages/documents and acts as a third button. 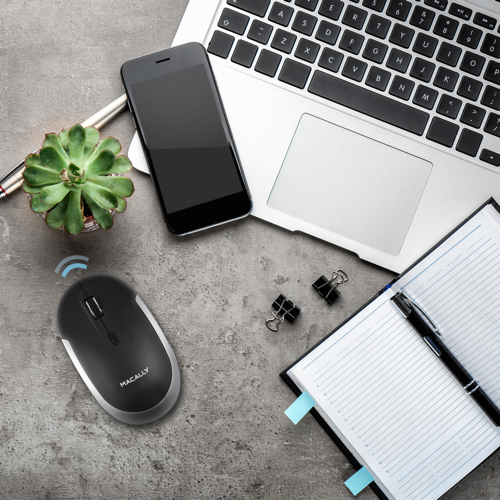 Bluetooth technology gives you wireless freedom and keeps your other computer ports free. 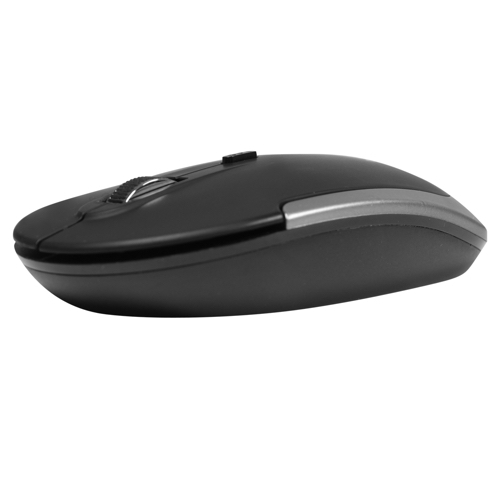 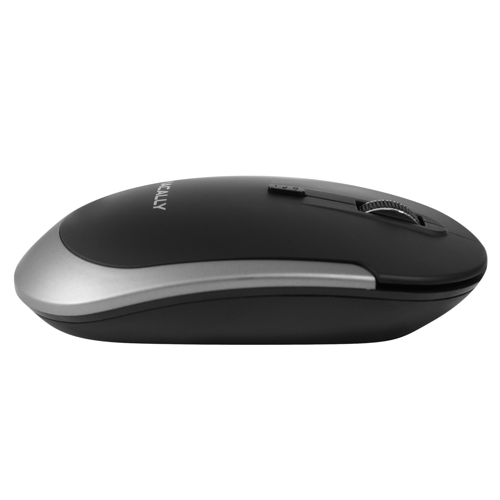 The mouse works with two "AAA" batteries that last up to 3 months of use (at 8 hours of daily use). 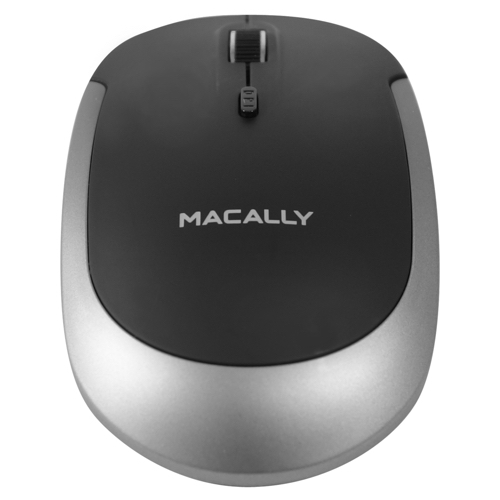 The Macally BTDYNAMOUSE has a stylish, matte finish and ambidextrous design that offers maximum comfort to both left-handed and right-handed users and helps to increase your productivity. 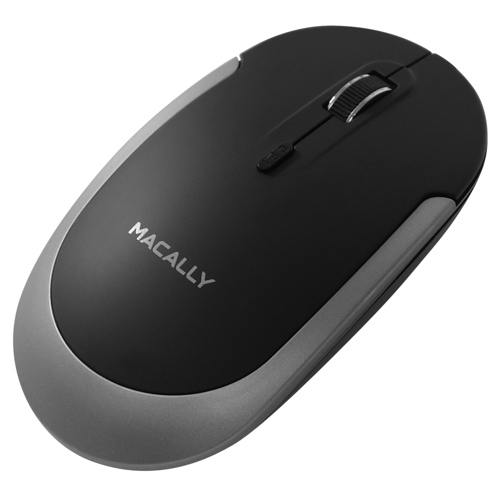 * Battery life may vary depending on user and computing conditions.